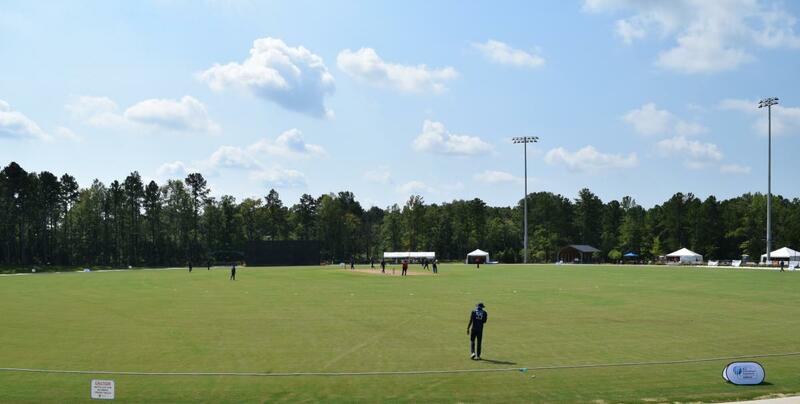 An interesting look at the sports event industry in Greater Raleigh, N.C.
Not long ago, the circular field at Church Street Park in Morrisville was the central gathering place for a thriving local cricket community, but one known by few outside Greater Raleigh. The Triangle Cricket League (TCL) had a good thing going with the Town of Morrisville, partnering to bring regional events to the venue. 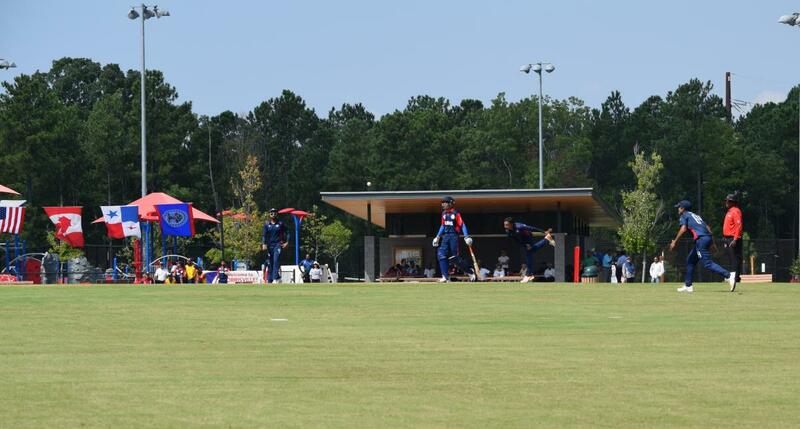 Then, thanks to the work of hundreds—locally and around the world—Morrisville got its big-league call-up in August, when the International Cricket Council (ICC) announced that the Americas region qualifier for the 2020 ICC World Cup would be played Sept. 19-26 at Church Street Park. 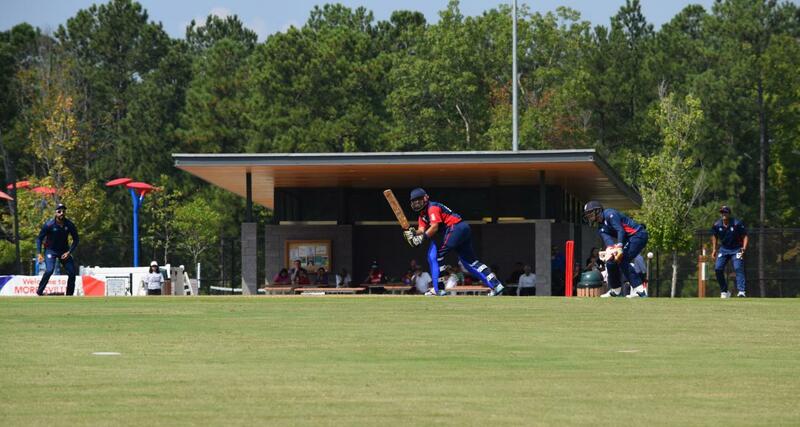 Morrisville is now an international player, with room to grow and other cricket events on its radar. The event has been a massive success, and not only for the national teams from Canada and the United States, which moved on to the next qualifying round after beating Panama and Belize. Team USA and Canada played two instant classics in the tournament before crowds estimate at or above 2,000 people Sat., Sept. 22, and Tues., Sept. 25. Both results created buzz in the world of cricket, and not just because it’s a rivalry that dates to 1844. In the first match, Canada essentially won in sudden-death overtime after both teams scored 140 runs. One highlight for Team USA went viral: Elmore Hutchinson’s diving catch—similar to a baseball outfielder robbing a batter of a double into the gap, but with no glove. 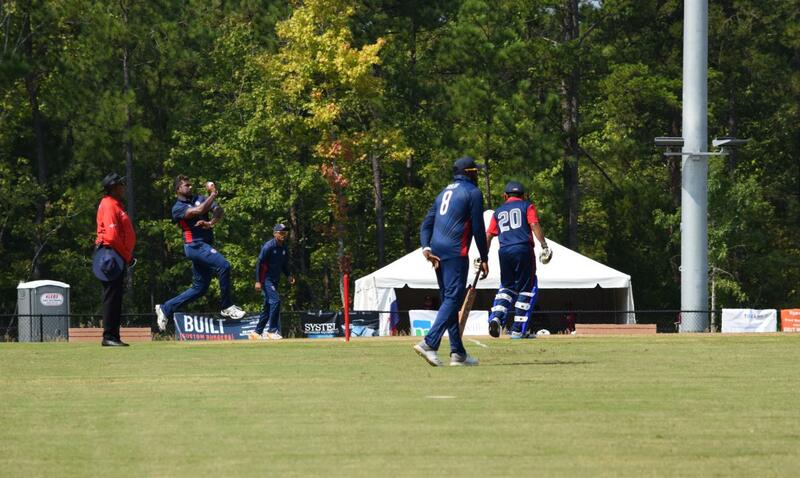 In the second meeting, the U.S. won by two wickets to earn a split with its rival, thanks to Steven Taylor’s walk-off 6 (that’s a home run in cricket terminology, so named because it gives the batsman’s team six runs). Zubin Surkari, the ICC Americas development officer, had high praise for the site, calling it the best cricket venue in the U.S., and the community support, which featured work by more than 330 volunteers. Canada’s coach, Ingleton Liburd, said Morrisville has done things right. Cricket is on the rise in Greater Raleigh, where morning meet-ups at local parks are growing more common. In Morrisville in particular, the sport is flourishing. The TCL had 16 teams when current league president Jana Chellaperumal moved here from Boston in 2010. Today, the league has more than 120 teams and 2,100 adult and youth players. Church Street Park is at the center of that growth. It was the center of the cricket ground, however, that was in doubt after ICC officials first indicated Morrisville was qualifier-worthy. The ground’s Bermuda outfield is pristine, but, to reach international standards, the central rectangle referred to as the pitch needed nurturing. Chellaperumal said an entire book could be written on the saga of preparing the pitch, which is where the sport’s batsmen stand, taking whacks at balls hurled by the other team’s bowler. Three truckloads of clay, specifically from the town of Waterloo, Ill., were supposed to arrive in March, but a problem with the digging apparatus delayed that until June—when the clay arrived instead in bags. “Our volunteers emptied 2,400 bags of clay,” Chellaperumal said. 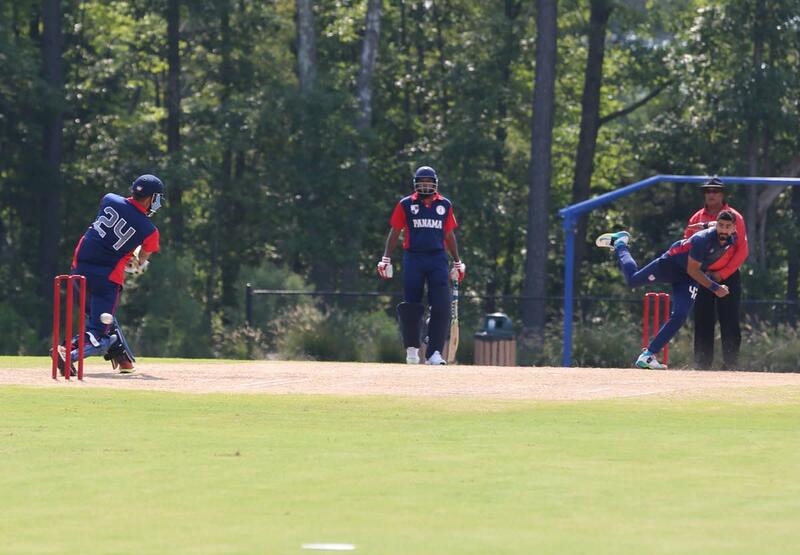 In July, ICC officials visited to watch an exhibition match and see how the pitch was doing. It was not good enough, and so the ICC recommended the TCL bring in curators from New Zealand and Australia. The Morrisville Town Council approved that request in two days, Chellaperumal said, and now the town and the TCL get the expertise of Mark Perham of New Zealand and David Agnew of Australia. Perham made an earlier visit and acts as a consultant. Agnew spent about nine weeks in Morrisville, through the end of the tournament, training staff and volunteers in pitch preparation and maintenance. Also in July came eight pallets of sod. That’s a necessary item for the pitch, except the sod had sand in its roots. Chellaperumal said the sand can’t mix with the clay, or else the clay will break down. “There were 30 people out here washing the sand off the sod, some with firehoses,” he said. Finally, the ground was in good shape: Agnew the Aussie curator was imparting wisdom about the pitch, and the outfield grass was never in doubt. Then, about a week before the start of the tournament, another visitor showed up, this one unscheduled and unwelcome. It’s that sort of community spirit that has stood out to Surkari, the ICC’s Americas representative. He said the collaboration between entities shows how seriously Morrisville takes its role as host. “From the people in the community, the town, the fire department, the police, it’s really kind of a field of dreams around here,” he said. ICC officials first visited the facility in 2015, in part because of the presence of Mark Stohlman, a TCL player and volunteer and then the mayor of Morrisville. Stohlman was one of the hosts for the visit three years ago, a meeting he says happened in part because of the presence of Alvin Kallicharran in Greater Raleigh. Kallicharran is the kind of person that international cricket officials will listen to, and the kind more recognized in other parts of the world than where he lives. He was a famed batsman for West Indies teams in the 1970s and 1980s. Those who know cricket definitely know the name. “People find out Alvin lives here, and it’s like hearing Mickey Mantle is living in Raleigh,” Stohlman said. The TCL is not only hosting national teams—it also is the home for several national-caliber under-19 players: Smit Doshi, who sounded the siren at a Carolina Hurricanes game last season; and Sanjay Stanley, a senior at Green Hope High who in June was one of 39 players selected for national team consideration. That’s one of several signs of cricket’s growth in Greater Raleigh. The tournament shows that the TCL and Morrisville are ready for the big leagues. The moments just before the first match began, when all the groundwork officially paid off, was one Chellaperumal will never forget. He hopes it is the first of many memories of the work done to get to this point, to this stage.